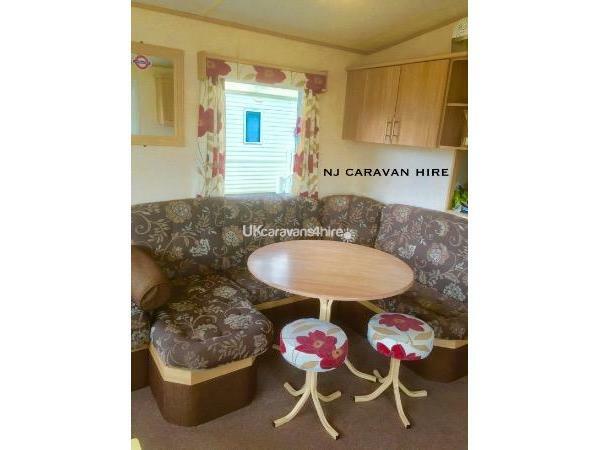 Strictly No pets/smoking in the caravan. No groups of men or woman. Families & couples only. 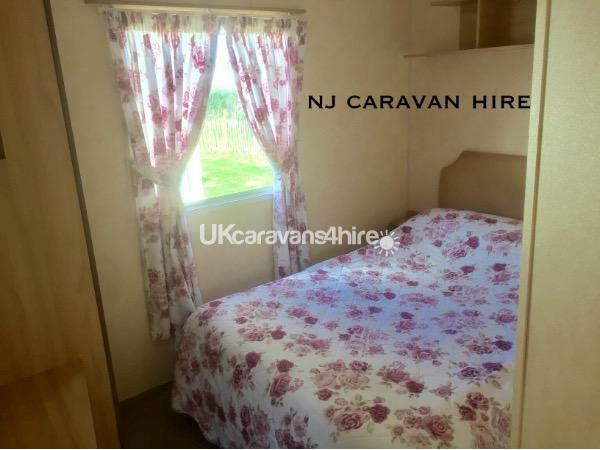 £50 non refundable deposit & £100 bond is required at the time of booking, this is to cover cost of anything is broken/damaged/not replaced to original standard. The cleaners will check the van after you vacate & you're bond will be refunded within 7 days. Total cost of the holiday must be paid in full 6 weeks before the holiday. 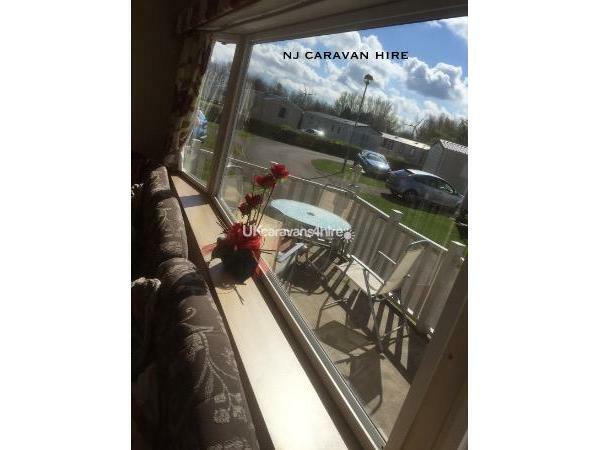 Beautiful 2008 caravan available for hire on the popular family fun packed haven holiday park. 3 well presented bedrooms, all with air blown heating. 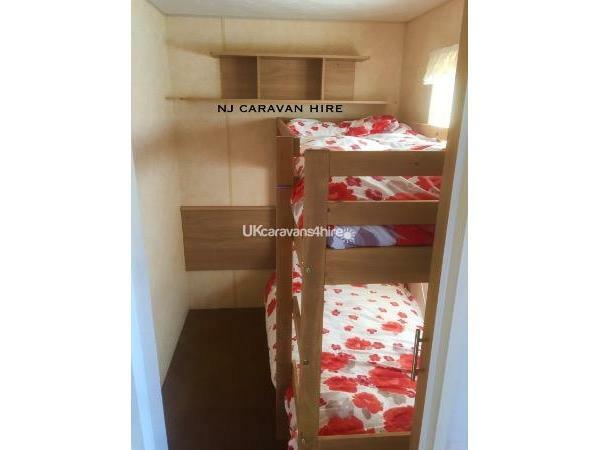 1 double bed with dressing table & wardrobe, 1 3/4 bed & wardrobe & 1 with bunk beds & wardrobe. A pull out bed is situated in the lounge. Bed linen, duvets & pillows are provided. Electric shower & toilet (towels NOT provided. 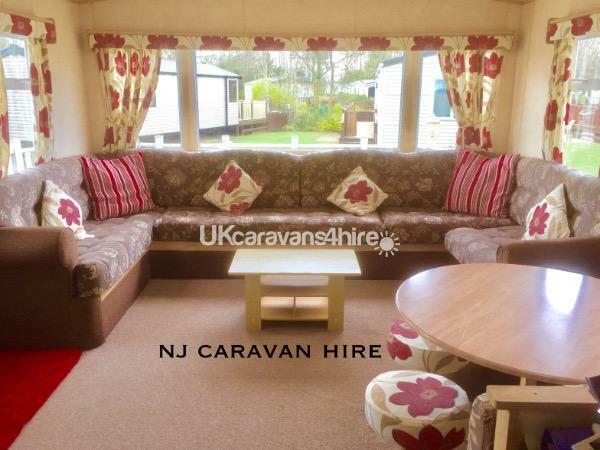 large L shaped sofa, dining table & stools, gas fire, 32inch freeview TV with built in DVD Player, selection of dvd's, selection of board games, bats & balls, playing cards, books, first aid kit & sewing kit for your convience. 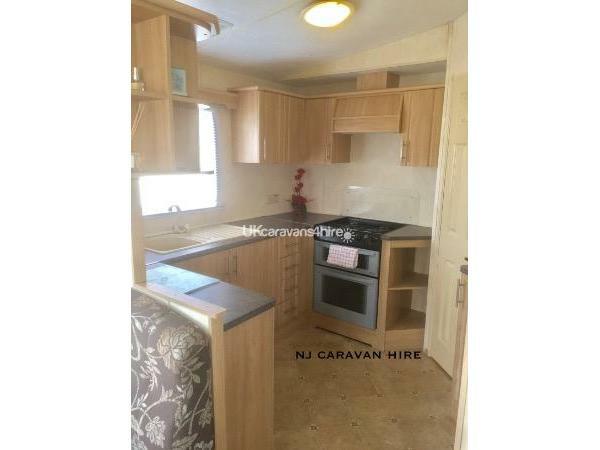 Kettle, toaster, sandwich toaster, full size Fridge Freezer, large oven, Microwave, crockery, cutlery, glasses & all the essential kitchen items you will need. 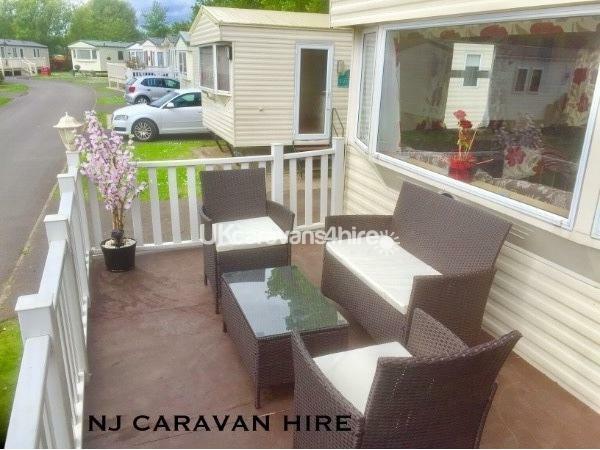 large gated veranda, patio table, umbrella & chairs, Parking Bay for 2-3 cars, grassed play area around the caravan. We are situated in the golf village area, 5 mins walk from fitties beach & on site shops. 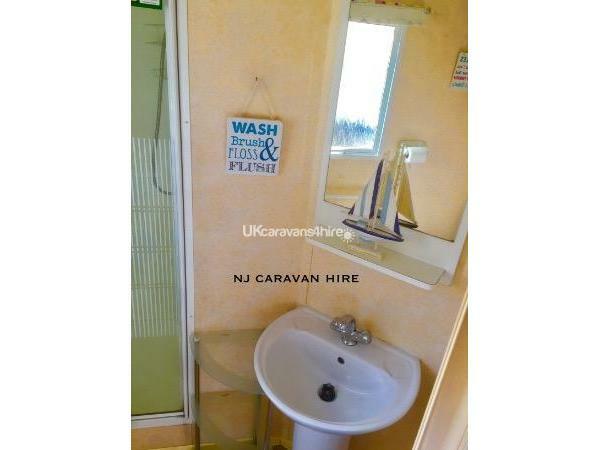 The caravan is on a small horse shoe so is safe for children to play on bikes etc. You will also find a selection of buckets & spades. We do however provide bed linen pillows & duvets. 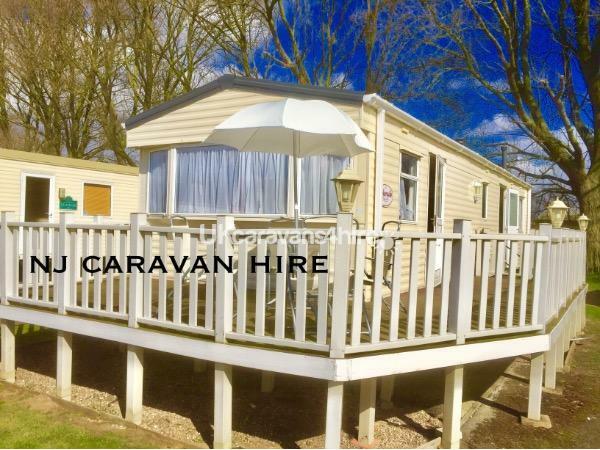 You will also arrive to a welcome pack with all the information you will need for your stay, useful caravan information & getting out & about. Please read booking terms. By paying a deposit and securing your holiday dates you are confirming you have read and understood our booking terms and conditions. Passes are not included (fun works pass) but you can buy them at reception ranging from £10-£30 depending on high/low season. 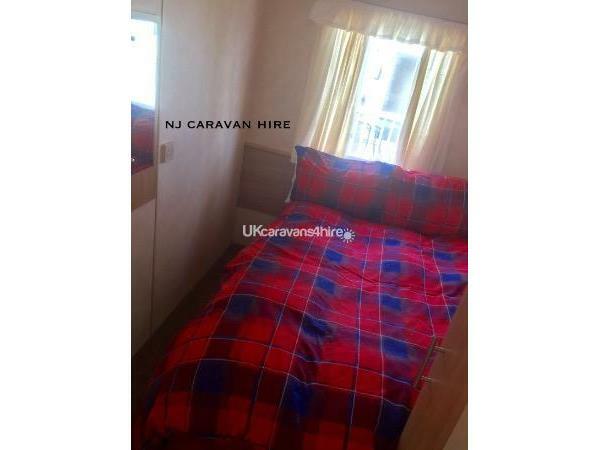 7, 4 & 3 night breaks available. 4 & 3 nights available only during term time unless otherwise stated. Thorpe Park: facilities include a heated indoor pool with spa bath, water slide, paddling pool and a redesigned splash zone and sauna. Water activities include water dodgems. 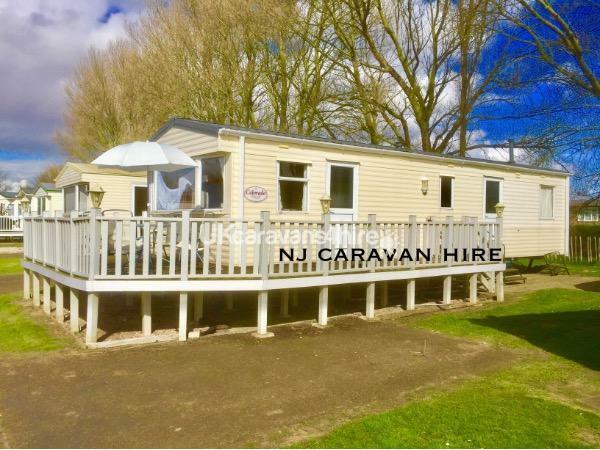 Pub/Club, Fishing, Amusement Arcade, Tennis Court, Indoor Pool, Golf Course, Laundrette, Crazy Golf, Pitch and Putt, Grocery Shop, Takeaway, Restaurant, Kids Club, On-Site Pub/Club, Amusement Arcade, Tennis Court, Pitch and Putt, Golf Course, Crazy Golf, Indoor Pool, Restaurant, Kids Club. Fishing, Tennis Court, Takeaway, Grocery Shop, Laundrette. 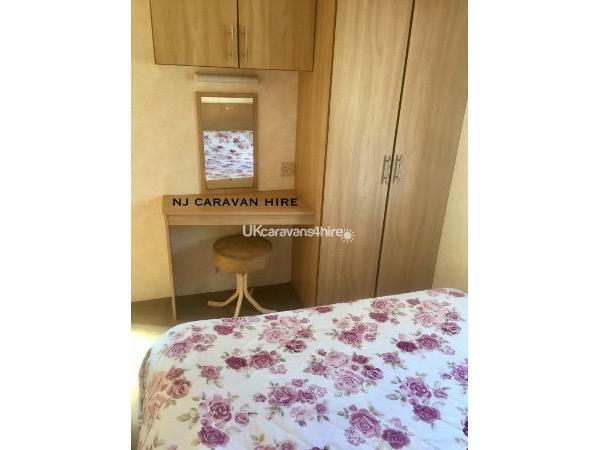 We had a brilliant weekend, the caravan is spotless is in the perfect plot ideal for the train, the bus, the park, the shop all whilst being super peaceful. My only complaint is that we had to leave and go back to reality! Looking forward to re booking soon.